I’m told this was a commissary but I don’t have any further information. I was unable to photograph the other side, as it’s in someone’s yard. It’s an important survivor. 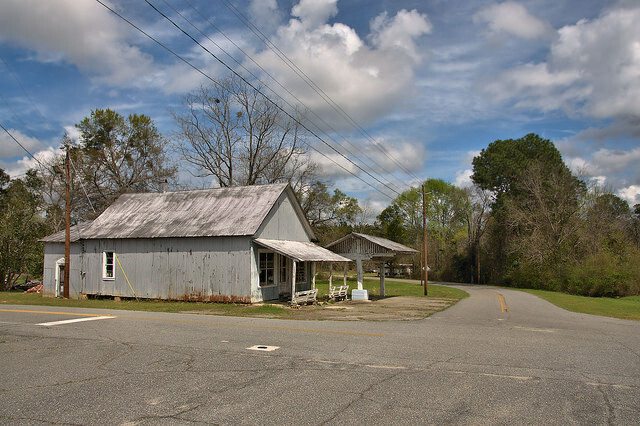 The W. R. Browning property is a great example of a rural general store, and it’s relatively intact compared to most I’ve encountered in my travels. It even retains an outdoor shelter. 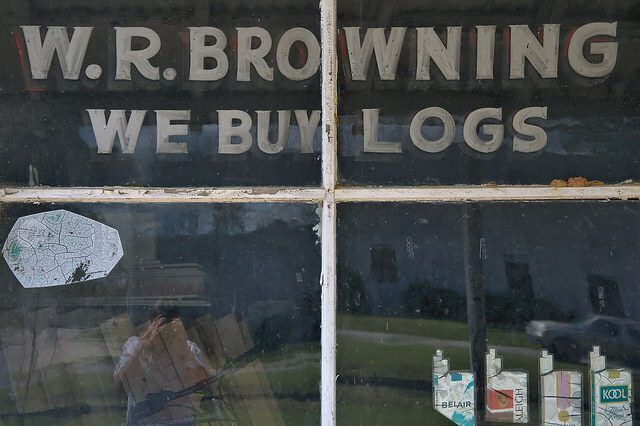 The window signage is particularly nice, especially this one, indicating that W. R. Browning was not only a shopkeeper but a lumberman, as well. 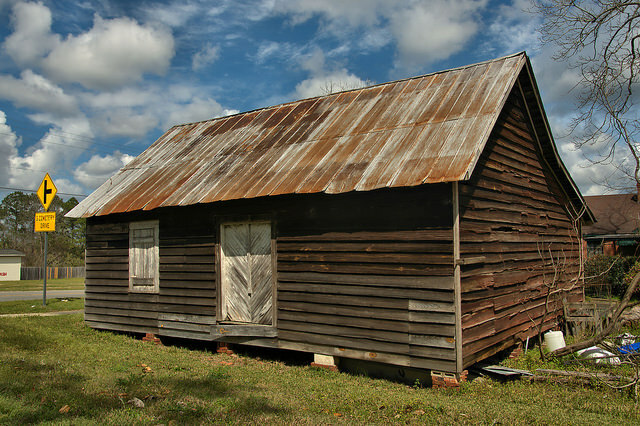 I’m not a good genealogist, but I think some of the descendants of my great-great grandfather, George Franklin Browning, still live in this area. I hope to learn more about that. 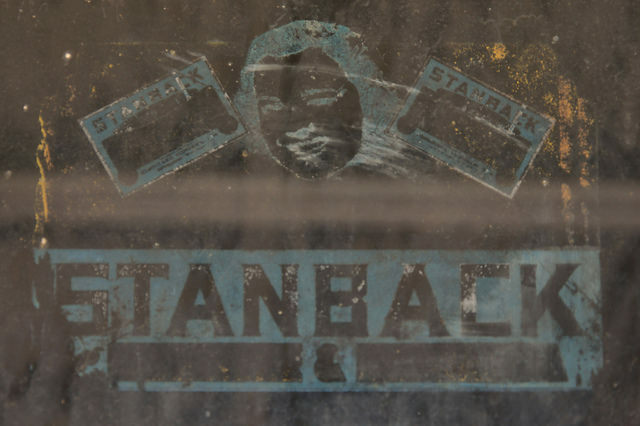 The Stanback window decals are fading away, but they likely date to the 1930s or 1940s. Their survival is extraordinary. 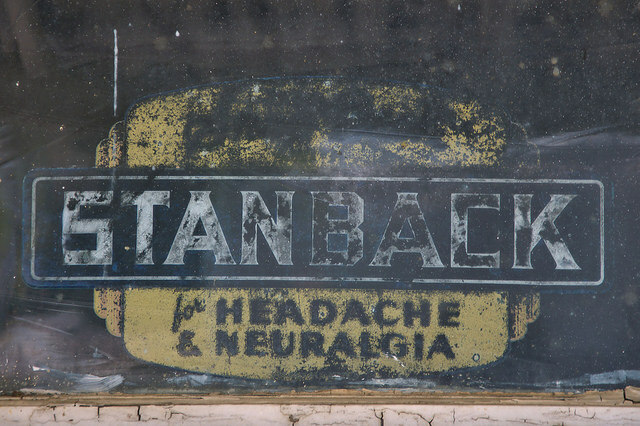 Stanback was advertised as a cure “for Headache & Neuralgia”. For those who don’t know, it’s a caffeine-based headache therapy similar to Goody’s & BC powders. 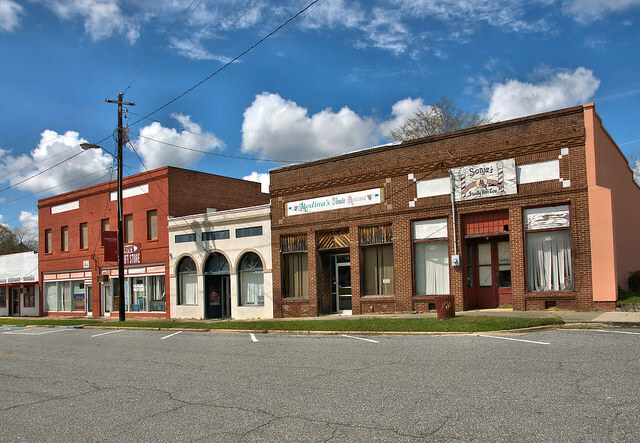 Third Avenue is the main street of historic Glenwood. It’s essentially two streets, running along either side of the the railroad tracks. 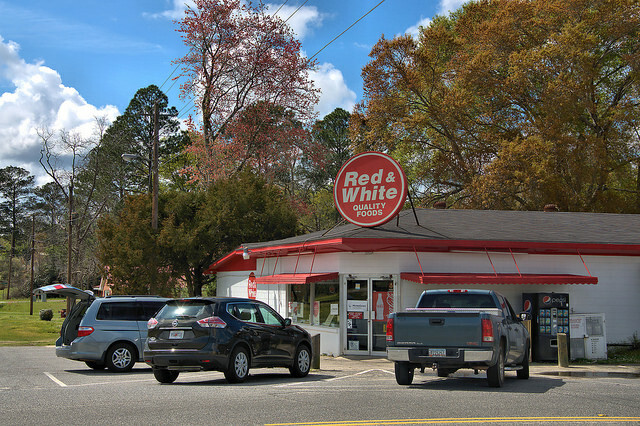 The commercial area is located on Northeast Third Avenue while Southeast Third Avenue is predominately residential. The two buildings at left in the photo above are both empty shells inside and will be lost if not stabilized. The exteriors are in relatively good shape, though. The structures seen below appear to be in better condition. 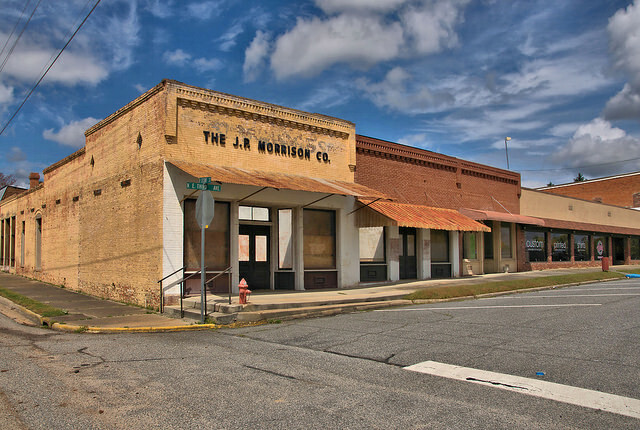 Valorie Phillips writes: Going from right to left in the bottom picture (my time as a child in the late 70’s through 80’s) the buildings were Rita Sue Chambers (McRae at the time) beauty shop, second was my daddy’s, Fred Clark, grocery store, Jimmy Sammon’s drug store, Mr. Tipton’s store, the restaurant was owned by different people at different times, the next building was a game room for a little while. The empty lot on the end was a department store until it burned down.Going from right to left in the bottom picture (my time as a child in the late 70’s through 80’s) the buildings were Rita Sue Chambers (McRae at the time) beauty shop, second was my daddy’s, Fred Clark, grocery store, Jimmy Sammon’s drug store, Mr. Tipton’s store, the restaurant was owned by different people at different times, the next building was a game room for a little while. The empty lot on the end was a department store until it burned down. I’m calling this a police precinct because I’ve seen several like it around Georgia, but it appears the police station is now located in the city hall. Still, this is one of the better maintained examples I’ve seen. 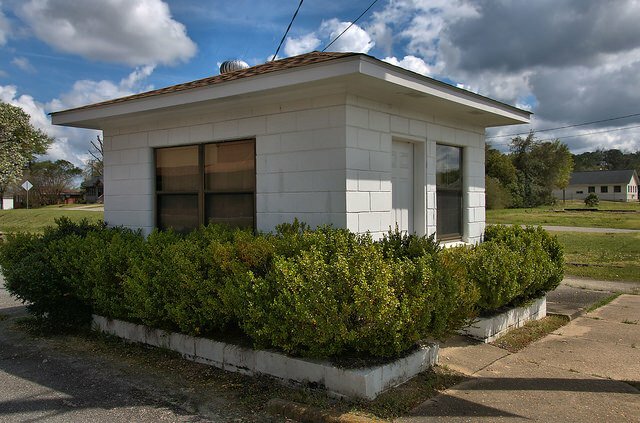 The Uvalda Police Department, just down the road, utilizes a similar structure (I believe it’s still in use). 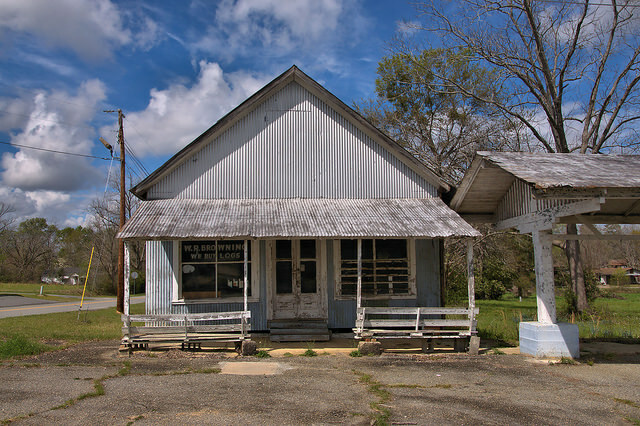 I first photographed this store nearly six years ago. 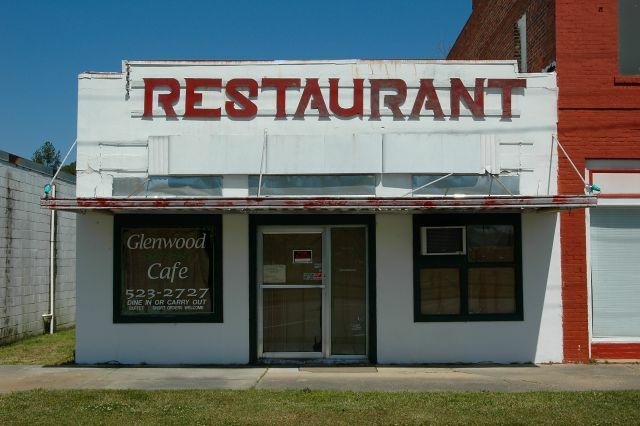 It looks to be the busiest place in Glenwood and hasn’t changed a bit.